Home » India vs Australia Match Prediction and Analysis! Team India ended the 2018 campaign on a good note as they take a 2-1 lead over Australia in the Boxing Day Test match and is just one win or a draw close to winning their first ever test series on Australian land. This win ensures that the Border Gavaskar Trophy will be retained by India irrespective of final test’s result. India beat Australia by 137 runs as the Mumbai Indians yorker boy Jasprit Bumrah crunched the Australian line-up grabbing his career’s best 6/33 in the first innings at Melbourne Cricket Ground. The Ahmedabad born bowler made his test debut just earlier this year in South Africa and just featured in 9 matches he holds 48 test wickets. Also, Mayank Agarwal showed an excellent performance with the bat on his debut game as he made 76 in the first innings and was seen hanging around the crease while India were 5 down for just 44 runs in the second innings on Day 3. Cheteshwar Pujara added another test century to his name, he played a knock of 106 in first innings which helped India to put a total of 443. India reduced Australia for 151 and added another 106 runs to the 292 run lead from the 1st innings which meant Australia had to chase 399 runs to win the match, but India got all the important wickets of Australia. Australia denied victory to India on Day 4 as Pat Cummins stood for Australia again with bat remained unbeaten on 61 and the scoreboard looked like 258/8 where India just had to take 2 wickets in Day 5 to win, although it rained in the morning at MCG wiping the first session of that day and after that covers were off and India were given 71 overs to bowl and they wrapped the game within 4.3 overs removing Pat Cummins and Nathan Lyon. The fourth and final test which will also decide whether India wins the series or will share the trophy with Australia, as they had to share the T20 series. The match will be played at Sydney Cricket Ground in Sydney. The pitch of SCG is expected to provide a dry and slow pitch. The pitch will mostly be in favour of spin bowlers. 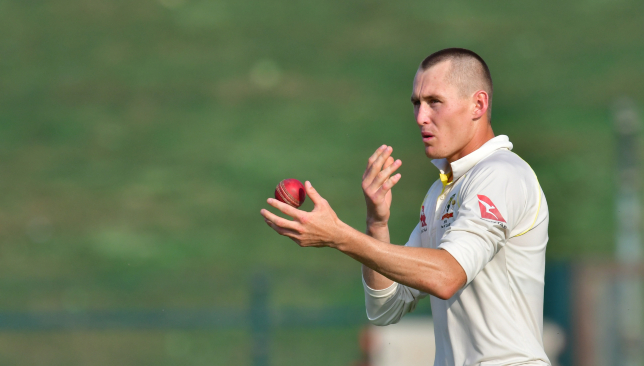 Australia has included Leg-spinning all-rounder Marnus Labuschagne in the squad for the final test. Even India can bring R.Ashwin or Kuldeep Yadav to play alongside Ravindra Jadeja to go accordingly with the pitch conditions. The turning point was India changing their opening order bringing in Mayank Agarwal and middle-order batsman Hanuma Vihari in place of Murali Vijay and KL Rahul who were unable to score big in the first two tests. Although Vihari too failed to get a big score on the board as he was dismissed for 8 and 13 in both the innings respectively. KL Rahul comes back to opening slot in place of Rohit Sharma and Hanuma Vihar will bat back in the middle-order, Rohit Sharma will not be available for the final test as he returns back to India due to personal reason, India have named 13-member squad for Sydney test where Ishant Sharma and Hardik Pandya have been dropped. India will be unstoppable to win their first test series in Australia based on their all-round performance in the entire series. Australia will have to come hard to level the series as they have been lacking in their top batting order unable to built big partnerships. Our match predictions are India will take 3-1 series victory. So here is the match prediction for Boxing day test, Predict on Live matches and win amazing Prizes!